Australian at heart, New York-based Jasmine Edwards is a blogger, stylist, model, singer, actress, artist and writer. 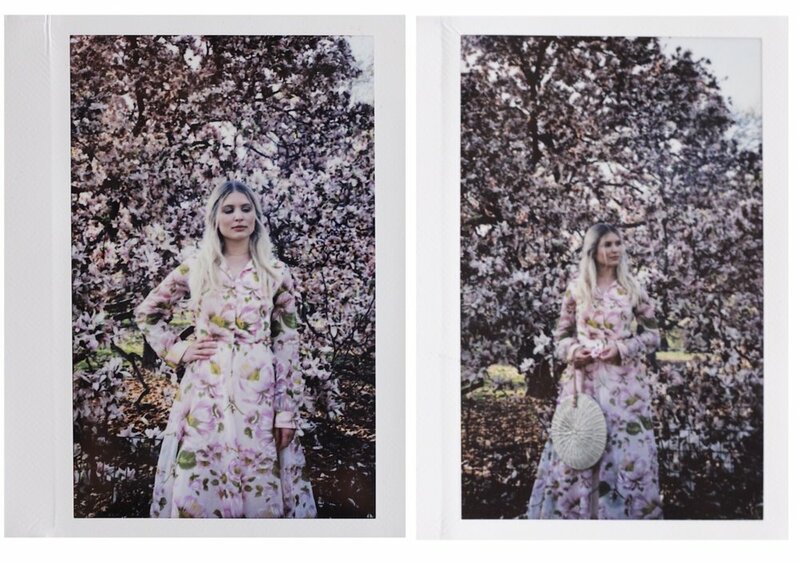 As an all round creative, she's constantly inspired by her surroundings and has a way of conveying the beauty around her through photography and vintage inspired short films. We wanted to know what it was like when Winter finally comes to an end in New York, and the cherry blossoms start to bloom! With the Midi Bag on her arm, she takes us around her neighbourhood and shares with us her favourite place for afternoon cocktails with the girls, and the best spots in town for live music. I couldn’t possibly choose! Australia will always be home (and is obviously the greatest country in the world) but New York has a funny way of sucking you in! It truly is an amazing, unique and tough city. I initially moved to NYC because my husband works in the music industry and already had roots here. He is Canadian however, and from a small town, so we both struggle from time to time with a bit of culture shock! We are creative types, so we push on through and choose to be inspired by the people and culture around us. We’re pretty lucky. What does Spring look like in New York? Great question — usually, it’s beautiful and everyone is very happy because they just spent 3 months freezing! However, this Spring has been almost non-existent which is sad! A late bloomer, if you will. After a loooong winter, it feels amazing to be warm! People (and cherry blossoms!) come out of hibernation and suddenly everyone is making plans. It’s great. Describe the perfect Spring day in New York. I would then maybe meet a friend for brunch, make the most of the weather by strolling around my neighbourhood and taking photos & video, head back to my building and sunbathe on the roof with some rose and more books/magazines. Some other fun things to do on a nice day: catch the ferry to Dumbo, Brooklyn and get ice cream, or take the subway to Central Park, take a stroll through Conservatory Garden and see all of the flowers in bloom. After that, definitely drinks with the girls and either bar hopping around Williamsburg, West Village or Soho. We love Dante and Soho Grand’s Gilligan’s for cocktails, Top of the Standard for views and Mona’s, a dive bar in the East Village that has the best live bluegrass! As soon as the weather warms up I start craving oysters and Mermaid Oyster Bar & Maison Premiere are two of my favourites. Our new local, Skinny Dennis, always has live music, too. You just released 'Blue Blood’, what inspired you to create this album? My husband is a musician/music producer and I’ve always loved to sing, so it was only a matter of time before I was able to convince him to collaborate with me! I love being in the studio and I’m definitely ready to go back in over the next few months and create something new! More music, more travel (next stop a road trip round the U.K.!) and a greater emphasis on my blog & photography. As well as all that, I’m working on a fantasy novel (shhhh) which I hope to get published some day! Jasmine uses the Scallop Midi Bag when she's out and about in New York. Shop her favourite below!